Do ISO entities need to be PCI DSS Compliant? Who needs to be compliant with the Payment Card Industry Security Standards Council standards? Well, the default response is usually – anyone who stores, process, and transmits card holder data. There is constant discussion on pre-auth / post-auth / banking partners / etc..
A recent question I received was … Do ISO (Independent Sales Organizations) need to be compliant with PCI DSS? This is a great question because it brings into the forefront the Third Party Providers. While the classic response – “it depends” applies generically, let me elaborate and provide where it DOES exist. Beyond registration requirements, all service providers – need to be compliant, as it is the acquiring banks liability if they are not. Both issuers and acquirers must use, and are responsible for ensuring that their merchants use, service providers that are properly registered with Visa. Where applicable they must also ensure that all such entities are compliant with the PCI DSS and PCI PIN. Although there may not be a direct contractual relationship between merchant service providers and acquirers, Visa acquirers are responsible for any liability that may occur as a result of non-compliance. There are certainly relationships that may provide exceptions, but the process above shows that if you store, process, or transmit card holder data – proper security and compliance (and Validation where appropriate) with PCI DSS is necessary. 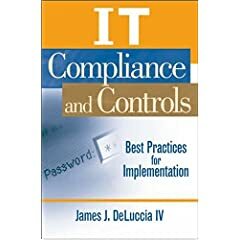 This entry was posted in Compliance and tagged 2010, best practices, Compliance, iso, it compliance and controls, IT Controls, pci, PCI DSS, regulation, Validation, visa. Bookmark the permalink. Service Providers, ISOs, TPP, MSP, but also merchants and hosting providers can promote their PCI DSS compliance on PCI Initiative List. PCI Initiative publishes a validated list of PCI DSS compliant Merchants and Service Providers. PCI Initiative is independent from the PCI SSC. It allows companies to display their product names, detail about services and scope, URL, logo, company description.